On July 2015, my husband (a MN native), my son and I went back to MN to visit his family in Stillwater. 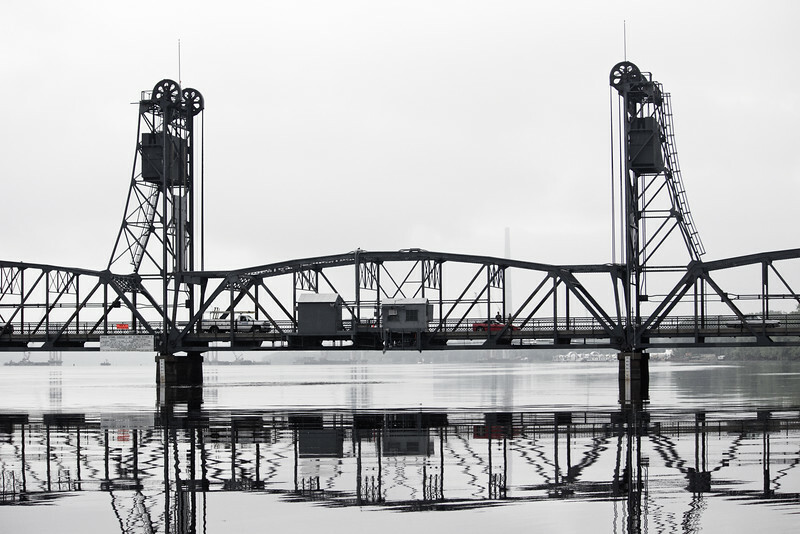 Every time we visit, we walk down to the river and admire the beautiful and historic lift bridge and, every time, I take a close up of the bridge, trying to capture the heart of it. This time, I was quite happy with the results. It was early in the morning so there were not many cars crossing, the water was still so the reflection is very nice, the sun wasn't all the way up yet so there is not much glare... it was all perfect!